Backcountry Bundle Trail Mix (Whole Foods Market): This trail mix is a delicious blend of almonds, pistachios, raisins, dried cranberries, and sour cherries. While it would probably be much less expensive to buy the ingredients from the bulk section and make my own, this delightful mix has absolutely everything I need in the perfect proportions. I like to keep a package in my desk drawer at work for when the afternoon slump hits. It also makes a great travel snack. Champagne Pear Vinaigrette with Gorgonzola (Trader Joe’s): I rarely ever go to Trader Joe’s, but this salad dressing is worth the trip alone. The ingredients certainly don’t have the organic, local, or minimalistic qualities that I typically look for in foods, but I absolutely love the sweet, creamy taste, and I can’t believe that it only has 45 calories per two tablespoon serving. In my book, anything that gets me to eat more vegetables is money well spent. Additionally, the presence of Gorgonzola in the dressing makes cheese, while still welcome, an unnecessary addition to the salad. Butternut Squash Ravioli Lean Cuisine: Frozen entrees are a last resort, and I try not to rely too heavily on them. Nevertheless, it’s good to keep one in the back of the freezer. While this dish isn’t from one of the organic or natural brands, I feel better knowing that it is a vegetarian entree, and doesn’t feature too many industrialized animal products. I am also constantly surprised at my foodie self for genuinely enjoying this vegetable rich supper. Chocolate Peppermint Stick Luna Bar: This is my pre-workout snack before my morning gym sessions. I also love to travel with these. While protein bars aren’t very natural or food-like, they can be a reliable source of nutrients when balanced, vegetable rich meals are out of the question. 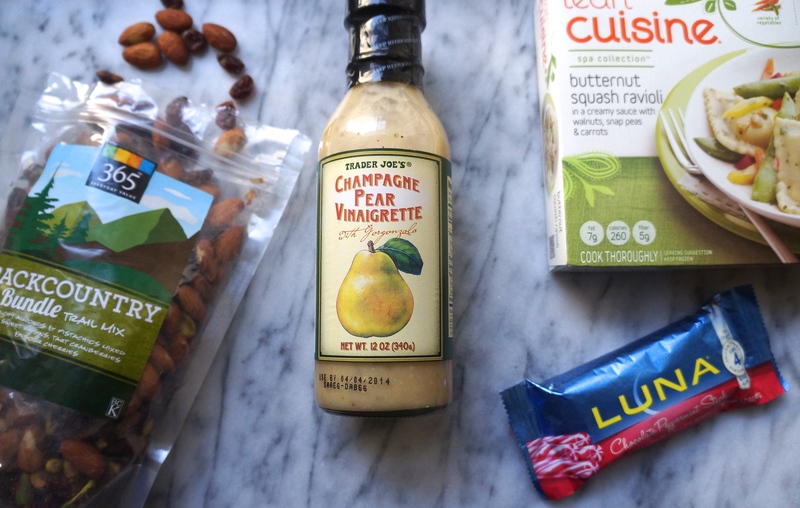 Do you ever rely on packaged foods? Which ones are your favorite? Ask the Dietitian: Are snacks healthy? Snacking is healthy, so long as you don’t eat “snack foods”. We all know that chips, candy, and sodas are unhealthy choices, but my principle also applies to “healthy” diet snack products. 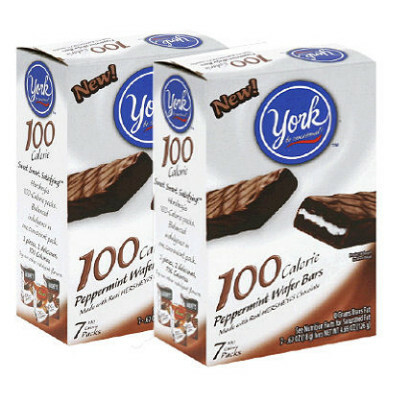 While a 100 calorie pack of cookies may only do 100 calories worth of damage, there is absolutely nothing nourishing or healthy inside of that package. Snack foods on the market today are pure junk. Desserts in disguise. Salty, fatty treats carefully engineered to keep you coming back for more. A few foods warrant careful consideration, such as Greek yogurt and granola, but one must remember that even these “health foods” are littered with excess sugar. So what are you to snack on if not “snack foods”? Nature’s original snack foods- fruits and vegetables! I know, I know. It gets tiring hearing the same old song and dance about nature’s bounty. But come on… you can’t be that sick of them. As a nation, we hardly even eat any! Fresh, in season fruits are so delicious, that they hardly need any accompaniment. However, vegetables can be a tougher sell. Pair them with homemade hummus or 100% nut butter to boost the nutrition content, and add that fatty mouthfeel that we all crave. Or, if you’re a weirdo like me, oven roast some veggies and call that a snack. There is hardly a salty craving that a warm, crispy, oven roasted Brussels sprout can’t cure. At least in my opinion. Occasionally (0kay, pretty frequently), I will relent, and a few Chocolate Peppermint Stick Luna Bars or organic Greek yogurt cups will make their way into my grocery cart. But I make a solid effort to enjoy my Luna Bars how anything called “Chocolate Peppermint Stick” should be enjoyed: with an ice cold glass of milk (fat free and organic, nonetheless) and on a dessert plate. Not to mention, a Luna Bar is hardly a Hostess Cupcake. But the principle remains. 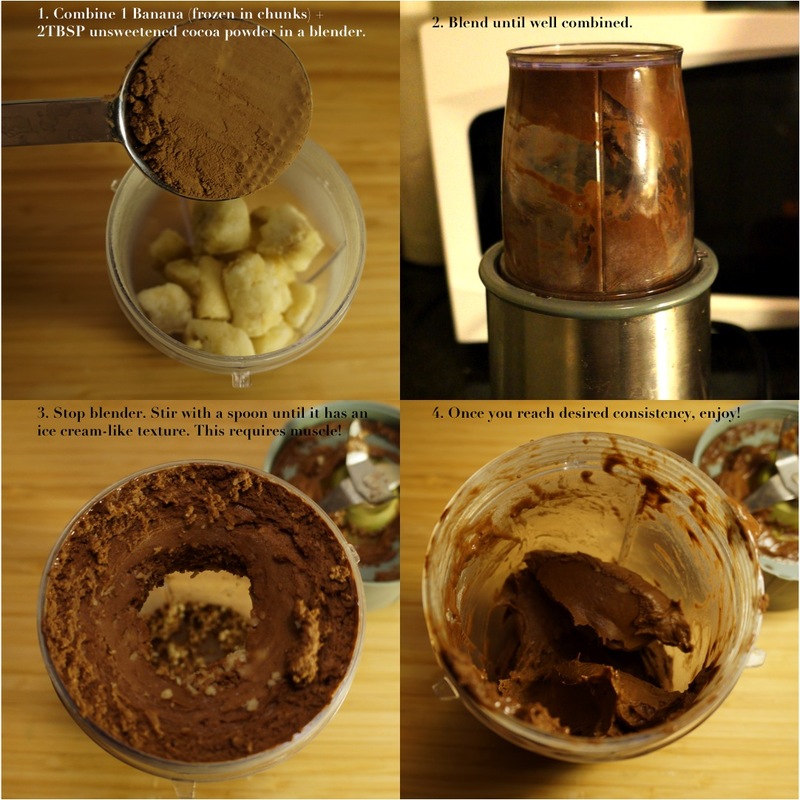 1 Frozen banana + 2 Tbsp unsweetened cocoa powder. This simple snack requires a bit of muscle (frozen banana chunks don’t blend easily without liquid) but it really is quite simple. Just give it a strong stir between blends, and you’ll be enjoying a rich, chocolatey treat in a matter of minutes. And with no added sugars, it doesn’t get much healthier than this. Just fruit sprinkled with antioxidants. As soon as strawberry season rolls around, this becomes one of my favorite treats. I just slice up a cup of strawberries (about half of the carton) and then top with 1 crushed graham cracker. 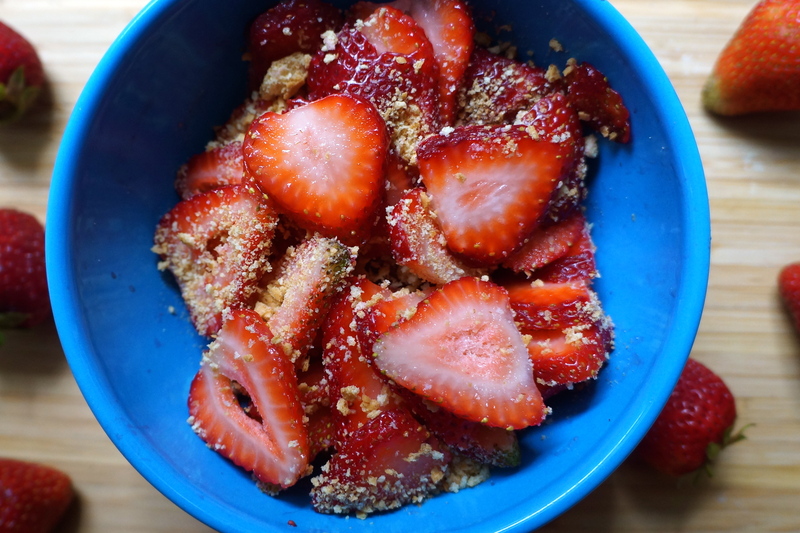 Think of it as a simplified version of strawberry pie with graham cracker crust. Former President and COO of McDonald’s wants to make brussels sprouts the new french fry at his new healthy venture, Lyfe Kitchen. I don’t blame him! When oven roasted until crispy, brussels sprouts have the satisfying salty bite of popcorn. 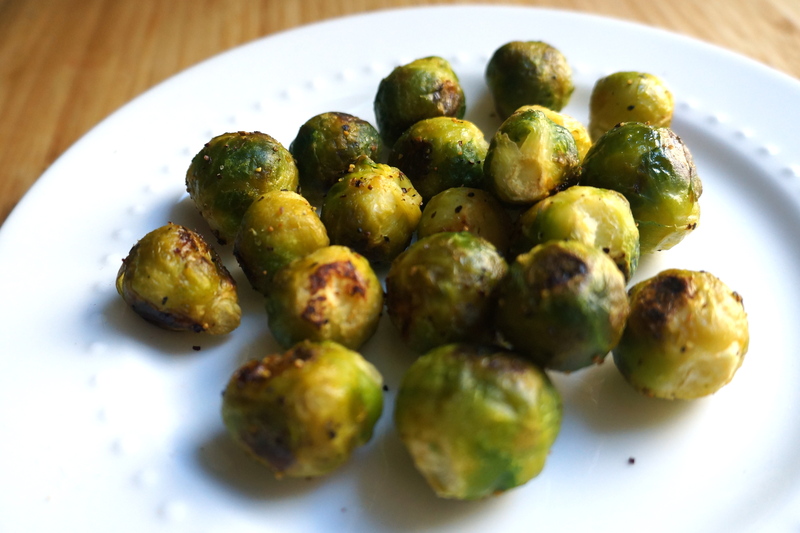 I tossed 1 cup of frozen brussels sprouts in 1 teaspoon of extra virgin olive oil and a generous amount of lemon pepper, then roasted at 425 F for 30 minutes (until crispy on the outside). Other tasty seasonings to try would be Nature’s Seasoning or Nutritional Yeast. Did you know that popcorn is actually a whole grain? It’s the movie theater butter that gives this fiber filled treat a bad rap. A bag of low fat popcorn is perfect for sharing with friends while watching late night chick flicks or ESPN. Smart Pop also comes in 100 calorie packs (both butter and kettle corn flavored). Prefer to do things yourself and avoid unknown additives? Here is a recipe (and video tutorial!) for how to make your own microwave popcorn using corn kernels and a brown paper bag. 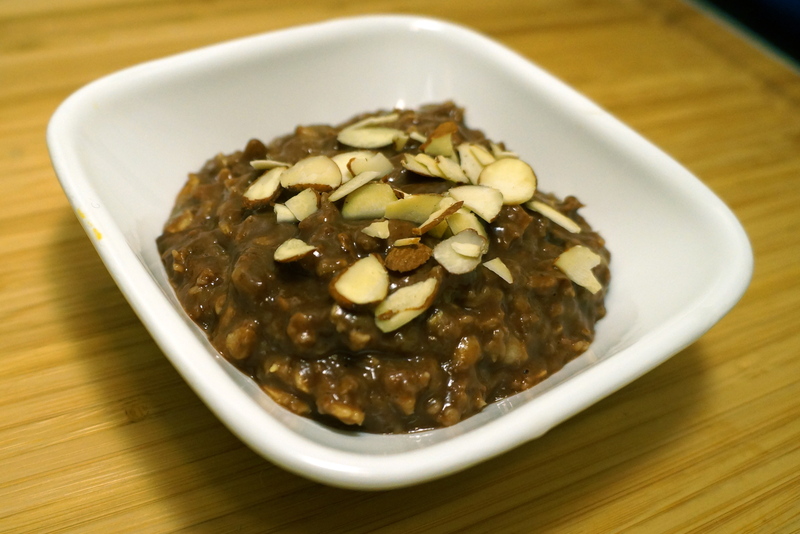 I use this 5 minute recipe to make chocolate oatmeal, and then I sprinkle some sliced almonds on top for added crunch. Oatmeal is an incredibly healthy choice, no matter what time of day, and sweetening oatmeal with a banana makes it more nutrient dense than sugar sweetened oatmeal. April showers bring May flowers! 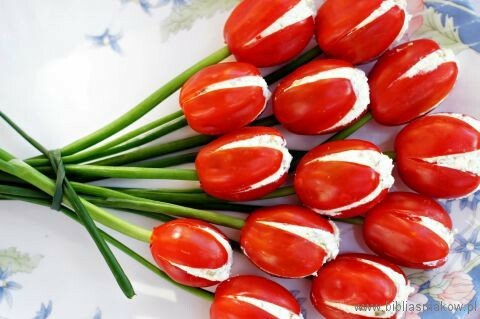 Here is a round up of my favorite flower themed snacks from around the web. How have you been celebrating the arrival of spring? 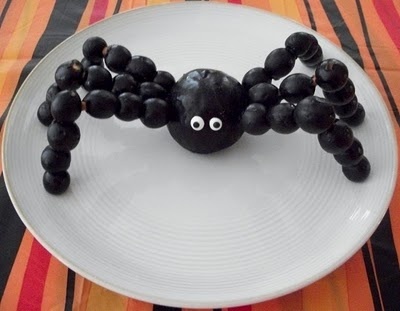 For more cute spring food ideas, see my Cute Spring Food Pinterest page. Also, see here for spring recipes. Happy May! Spring has sprung! While it might not look that way in Boston (I wore my snow boots today), winter is over and Easter is just around the corner. To celebrate the arrival of spring, here is a round up of the cutest (healthy) Easter snacks and lunches from around the web. Hope you enjoyed this roundup! 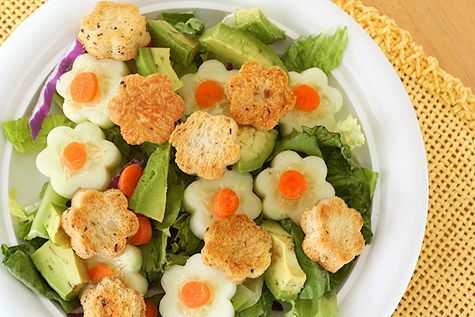 For more cute spring and Easter food ideas, see my Cute Spring Food Pinterest page. Also, stay tuned for a post on Easter fruit & veggie platters. It’s almost that time of year! Instead of spoiling your loved ones with sugary treats that could lead to upset stomachs and dental carries, show them that you care by cooking some extra special, wholesome meals. 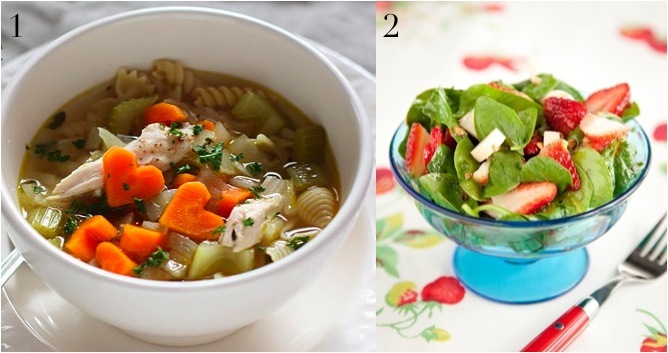 Here is an entire day’s menu of healthy Valentine’s meals. The images are meant to inspire you, while the accompanying text will guide you through how to keep each meal nutritious. Enjoy! 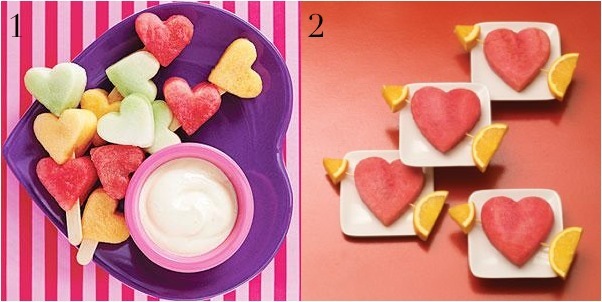 You can get these lovely heart shaped pancakes by using a squeeze bottle, cookie cutters, or even a plastic sandwich baggie with a snipped off corner. Serve with fresh fruit and a protein source (such as Greek yogurt, low fat cottage cheese, or scrambled eggs). 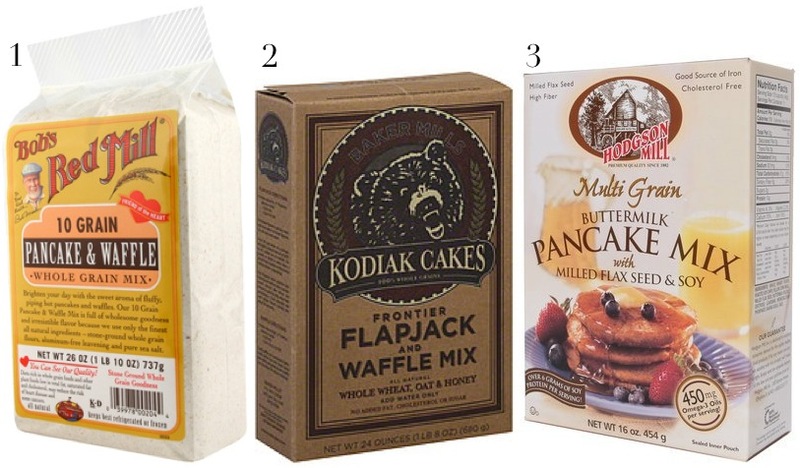 Make sure that you are using a whole grain pancake mix, such as one of these below. The possibilities with this one are endless! I love the balance with the fruits, veggies, and nuts. Just be sure to aim for a whole grain bread. A great set of cookie cutters goes a long way! Feel free to serve with either low fat or nonfat yogurt or cottage cheese on the side. This link has a great tutorial on how to make the heart shaped carrots. For a basic chicken noodle soup recipe, start here. I also like the one in my new Ellie Krieger cookbook. Paula Deen’s Hearts of Palm Salad with strawberries and spinach looks great as is, but hearts of romaine and heart shaped veggies (such as cucumber slices) would also make for a special thematic treat. It just wouldn’t be Valentine’s Day without something sweet. I love the look of these X’s and O’s cupcakes. Instead of sugar laden box cake mixes, try this winning Red Velvet Cake recipe from the New York Times, which includes whole grain flour, cherries, apple sauce, and beets, among other healthy ingredients. Also on my list of healthy Valentine’s Day desserts to try is this Chocolate Beet Cake with Beet Cream Cheese Icing, and these Gluten Free + Vegan Red Velvet Brownies. 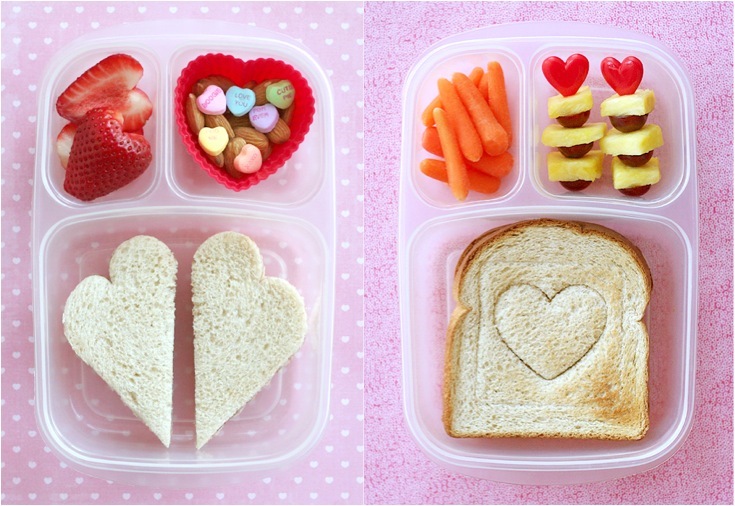 For more heart shaped food inspiration, check out this page on Pinterest. 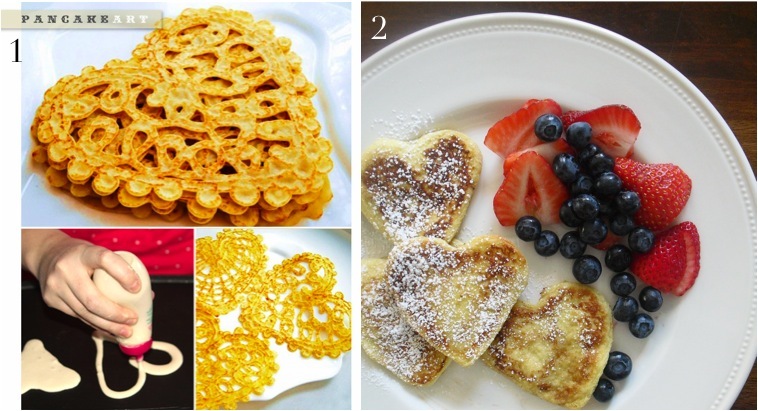 What will you be making this Valentine’s Day? Did you enjoy my 12 days of Christmas fruit and veggie platters? For days when you don’t need an entire tray of holiday food, here are 5 healthy snack ideas. You don’t have to be a kid to enjoy them! 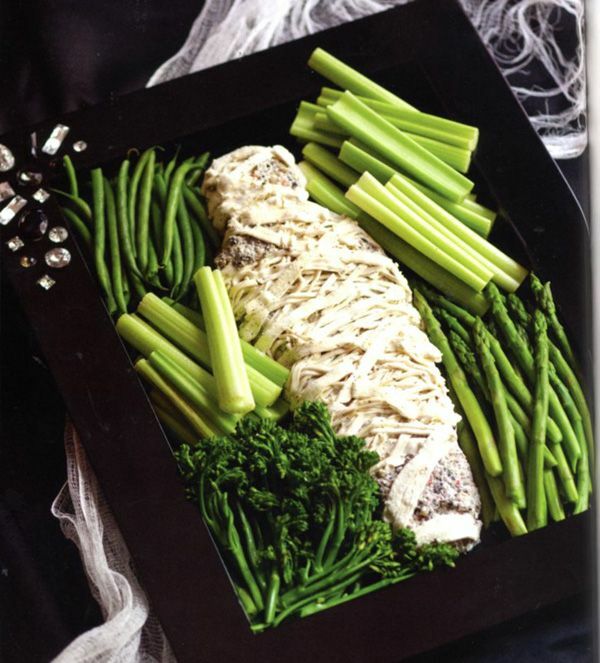 For more Christmas food inspiration, check out my Christmas food board on Pinterest. Happy holidays! Eating healthy around the holidays can be hard, especially when surrounded by festive treats and comfort food favorites. 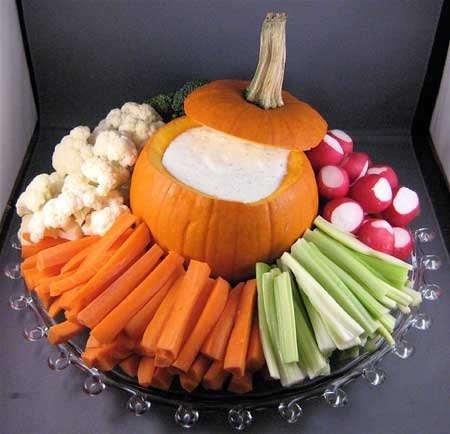 That’s why I am LOVING these super cute Thanksgiving fruit and vegetable platters! These Thanksgiving themed displays would be great to bring to fall parties and Thanksgiving dinner, and would also make excellent after school snacks. 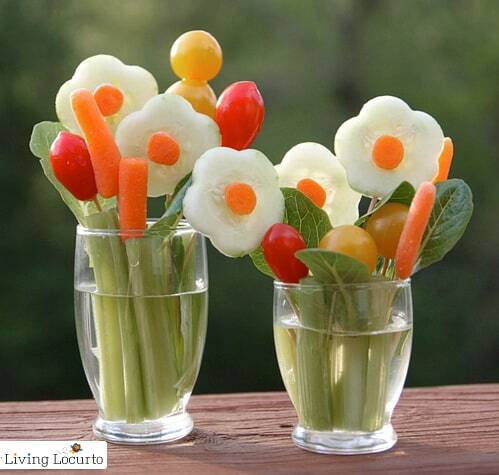 Great presentation can make fruits and vegetables more appealing for kids and adults alike. I hope that these images inspire you as much as they inspire me. Enjoy! Check out my Pinterest page for more healthy inspiration!